Step 3 - Post the picture to the 6th Annual Party in Pink Zumbathon Facebook event page. • The WINNER of the #SquadUpforKomen challenge will be announced during the event and receive a cash prize of $100.00!! • Get creative, have FuN with it!!! Remember to Tag your SQUAD!!! 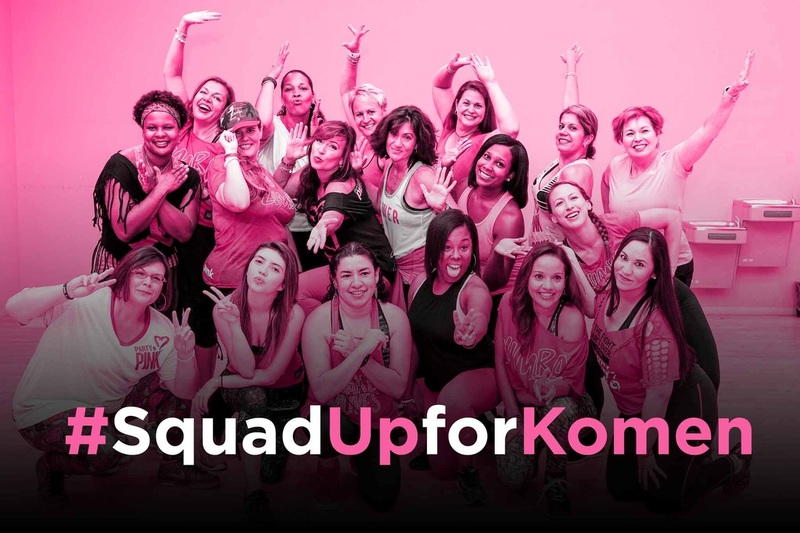 • The #SquadUpforKomen campaign will accept pictures on the Facebook event page until 5pm on October 18, 2016.